Come Join us Thursdays, Fridays ,& Saturdays Nights for Prime Rib! A Local Staple since 1931 serving Breakfast all day, everyday. 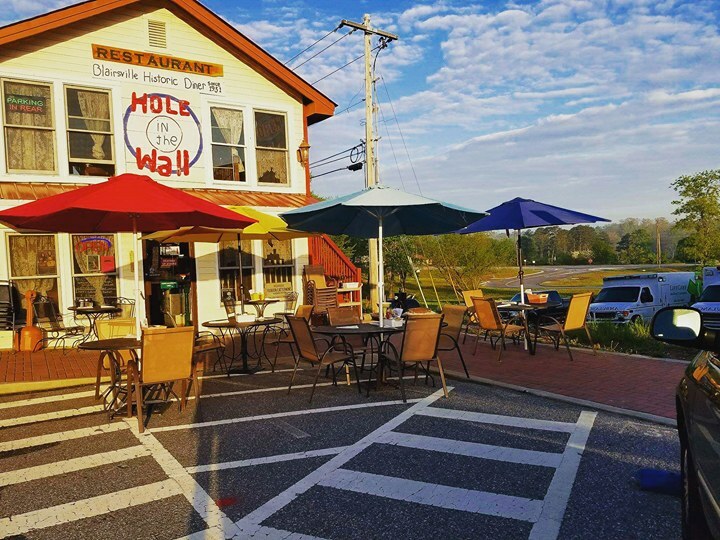 Union County's oldest diner located in the heart of the beautiful downtown Blairsville square. Established in 1931, it has been a restaurant consistently ever since it's birth. It is currently Owned and Operated by Chef Mark Cox who brought this legendary place back to life in 2006. There is something for everyone here. The food is so good you'll swear your grandma made it. Breakfast is served all day, everyday and there's even Prime Rib every Friday and Saturday nights! Come join us! Follow us on Facebook,Twitter, Pinterest, and Instagram! Cash or Check only, we apologize for any inconvenience.